- I grew up in sweet, southern South Carolina! I’m a southern girl, through and through! - I have one sweet three year old boy, David Eliajh III. - I am in Waupaca, Wisconsin, but I love to travel! - I started this business in 2015 while I was in college in Knoxville, TN. - I am the lead photographer, email writer, blogger and editor! - I travel all over photographing weddings and some of my favorite places I have been is Texas, Florida and Mexico! - I shoot 20 weddings annually. - I love creating beautiful images but more importantly, I love serving couples on one of the greatest days of their lives!! "Oh Ashlea, how do I even begin to rate you? If you are looking for a photographer who really knows how to make you feel comfortable in front of the camera, Ashlea is your girl. Meeting her for the first time was like meeting up with an old friend you hadn't seen in awhile...she was so warm and friendly right off the bat, it was like I've known her forever. Even throughout my planning I would text her at random times to get her thoughts on flowers, colors, etc, and every time I would always get replies and suggestions filled with excitement and plenty of emojis 💁🏻🙌🏻she really knows how to hype you up for your big day! On the day of, Ashlea and Tyler really helped me hold it together. Let's just say my fiancé and I weren't the most organized, and team Snell held the timeline together like the pros they are, even when the boys went to the wrong location and didn't get cell service. It's not a small feat keeping the bride together when the groom is late for the first look, there's possibly a bridesmaid bouquet missing, the bugs won't stop getting caught in the mesh of my dress, and more problems, but these two kept me sane and managed to get some looks from my new husband and me that I didn't realize were possible! These pics were magazine worthy, no joke. Ashlea - thanks for capturing all the emotions and excitement I felt on my wedding day, the pictures are better than I could have ever dreamed. You have a customer for life!" 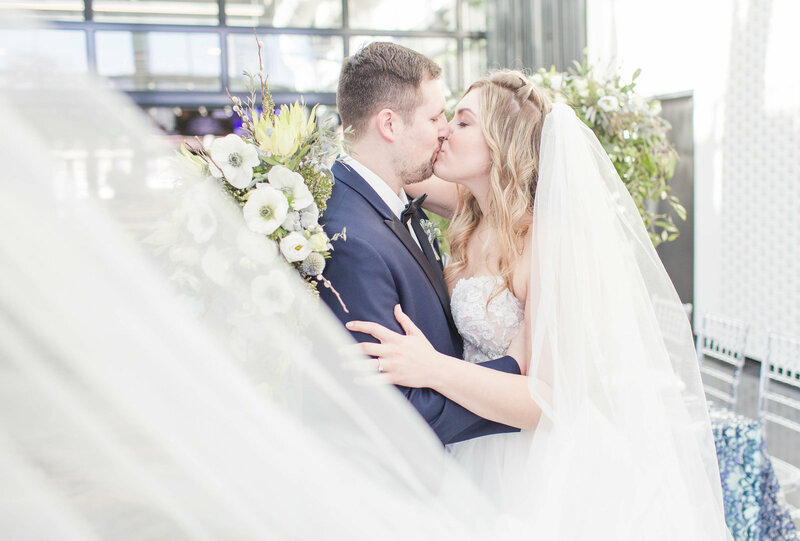 "Ashlea did such a beautiful job capturing all the wonderful moments of our wedding!!! Her and her second shooter are so an incredibly sweet and they are good at what they do and love every minute of it! Thank you so much for being another beautiful part of our wedding!!! It was amazing and I'm so happy you captured such wonderful memories we will cherish for the rest of our lives!!!." "10 stars! Ashlea is simply amazing. She is so sweet and pays so much attention to detail. She is great at getting everyone to smile even when we’re al hot, tired, and totally over pictures. She went out of her way to help my day run smoothly. She is always quick to respond to messages and her editing time is extremely quick too! Highly recommend!" I’m sure your mind is racing with all that needs to be planned. It’s all very exciting but it can also be somewhat overwhelming. You’re planning the day that you’ve been anticipating your whole life and yet you only get one shot at it! By the time you get the hang of it, the planning is over! 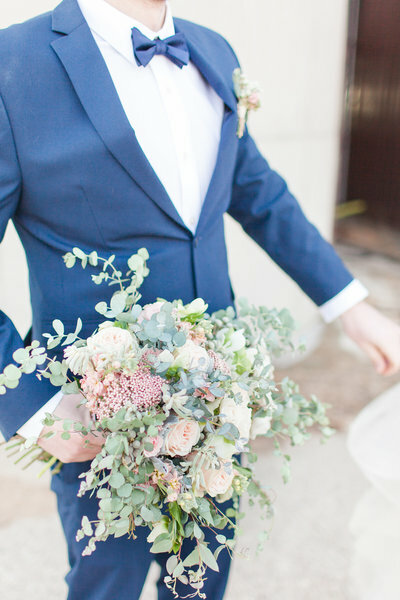 My goal as a wed- ding photographer is to make this one aspect of the planning process simple. Photography is more than just images, it’s a real part of your day. Not only do you deserve beautiful images, you also deserve an amazing photographic experience. When couples feel comfortable and relaxed in front of the camera, that results in genuine, joyful images! When I think back to my wedding day, I remember amazing memories.... but most of the moments I remember really well are the instances that were captured in my pictures. They are priceless to me. 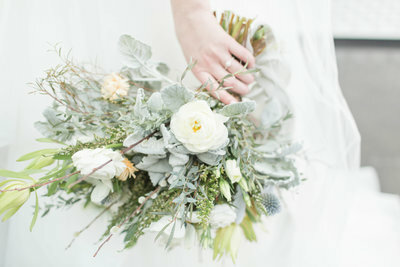 Our photographer made us feel so incredibly comfortable and for the first time, I experienced what it feels like to be in front of the camera as a bride. Your wedding day is an experience from beginning to end and your photography is a huge part of that experience..... shouldn’t it be fun? and enjoyable? and natural? I think so! My goal is to not only capture memories for my clients, it’s to create an experience that they will never forget. One way I ensure that my brides and grooms enjoy the BEST photographic experience possible is through forming a relationship with MY couples. I try my best to make sure that all of our couples are the PERFECT fit for us before officially booking. A bride and groom should connect with their photographer, trust their photographer and be EXCITED about the whole process with them! 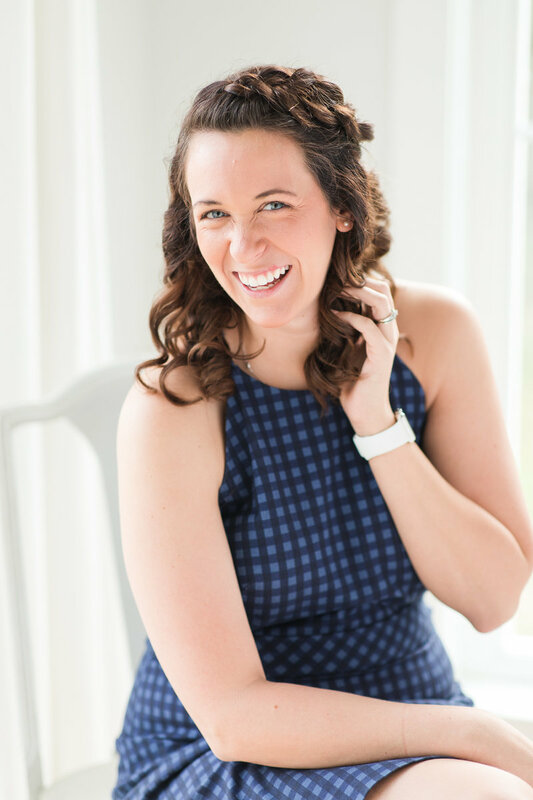 After booking, I love getting to know my clients through an ENGAGEMENT SESSION that helps them warm up to the camera so that they are ready to rock and roll on the wedding day! By the time the wedding day arrives, my clients feel more like friends and that creates a safe and relaxed environment for photography! 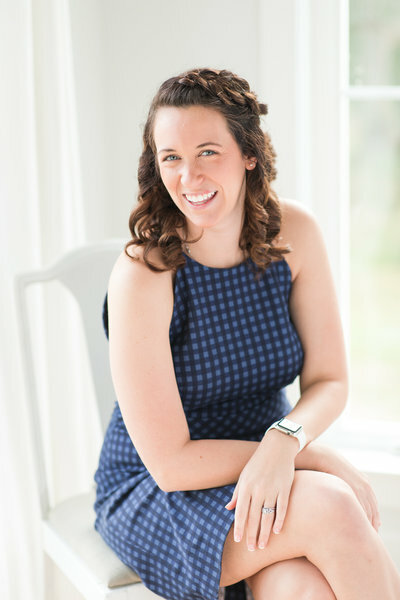 Now that you know a little bit about my approach to the wedding day, you can continue reading to find more detailed information about THE WEDDING EXPERIENCE! A retainer fee of $600 will be due to reserve your date, along with a signed contract. This is included in the overall cost. ***Travel fees may apply to locations 120 miles outside of Waupaca. Ask for details. Your first decision as an engaged couple is to set priorities for your wedding planning. You have to decide what you value most. Is it the dress? The food? The Venue? As a bride AND photographer, I believe that couples should make their photography a top priority. After the big day is over, you will leave your reception with a spouse & your pic- tures.... that’s it! All of that planning and preparation is over in a matter of hours! So if you’re choosing to invest in high quality photography, those images deserve a classy, elegant home after the wedding. I offer high end, linen and leather bound Legacy Albums for my wedding clients. 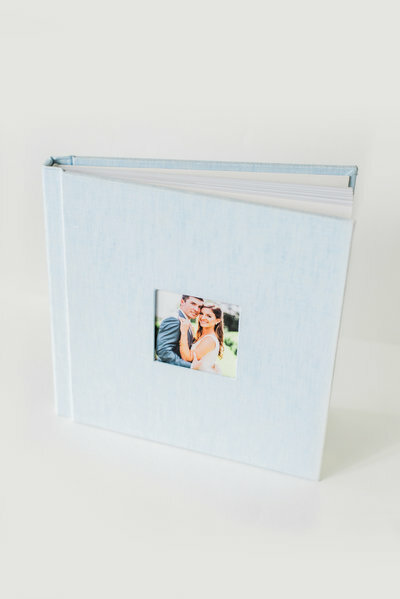 The images are printed straight onto the pages and the covers are wrapped with high quality linen. This is the perfect ending to The Wedding Experience and it’s a keepsake that you will be showing your children and grandchildren one day! It’s normal to be a little nervous about your engagement session. I always tell people that I still get nervous before having our photos taken - and I do this for a living! 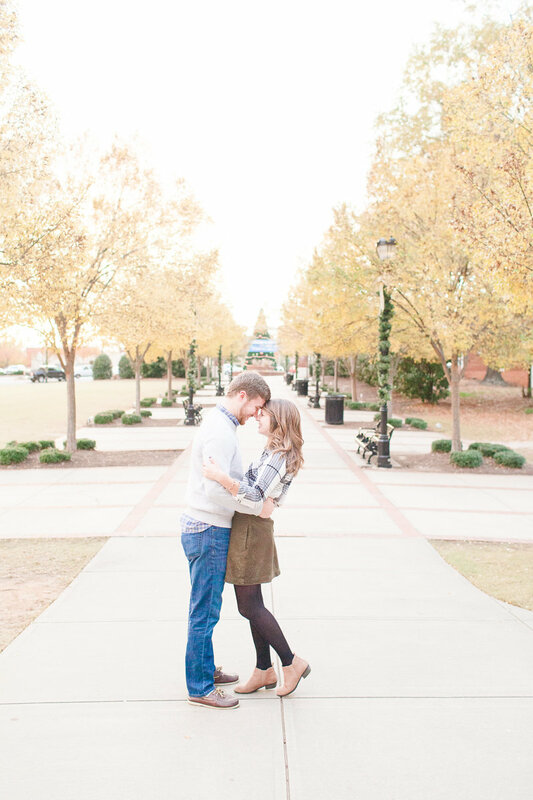 I'm a big fan of engagement sessions for a few reasons. First, they allow you to get comfortable in front of the camera. It takes time for most couples to warm up to being photographed and understand how I pose. Timelines can be pretty tight on weddings days and 30 minutes may be all we have for portraits - which is why I've found that wedding day portraits turn out so much better when couples do engagement sessions ahead of time! I am more than willing to travel for engagement sessions! I actually love it when my couples ask me to photograph them in a location that means something special to them! I book engagement sessions at least two months in advance and travel outside Waupaca will be .56 cents per mile. We average 50-60 images perfected images per hour that I am shooting. I love delivering my client’s files quickly and easily via an online gallery. You will have the ability to print, share and download your images as much as you want. I believe in freely sharing my work because that is what I would want if I were in your shoes! I am often asked if 8 hours is enough time to capture the full wedding story and the answer is yes! Our main goal right now is securing and saving your date. You can always add additional coverage as we get closer to the big day and we have a good idea of your timeline. wedding day. There will be parts of the wedding day when I will need to be in control in order to accomplish everything that needs to be done while staying on schedule. There will also be moments when you shouldn’t even know that I’m there. (The ceremony, during dances and toasts, etc.) I teach my couples how to pose, model and interact during their engagement session so they are naturals on the wedding day and don’t need quite as much instruction from me!